Keyboards come in many shapes – from the simplest computer grey standard 102-key keyboard to variants that seem to come straight out of a Star Trek episode. Here’s our list of the weirdest Top 10 keyboards ever. This one might be useful if you’re in the need to type stuff while doing practical work in tough climates – but if you would wear this WristPC keyboard at the office, you might be considered a bit geeky. Things are starting to get a bit more weird, ey? Getting used to this keyboard isn’t something you’ll do in 10 minutes or so – it will take a while for sure. 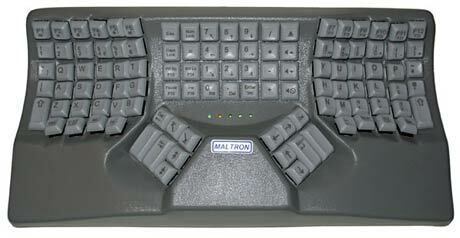 But if you have medical problems with your hands, this might be a good choice since it’s a very ergonomic keyboard. 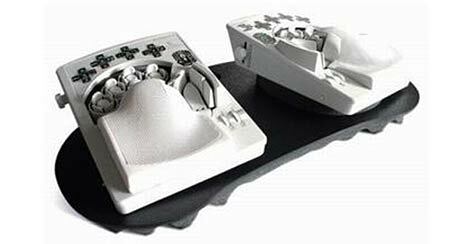 Two-hand fully ergonomic Keyboards, It looks very weird though! Just take a look at this one. Do you understand how to use it? The idea is that your hands and arms shall be in a more relaxed position while working with the SafeType ergonomic keyboard compared to a traditional keyboard. 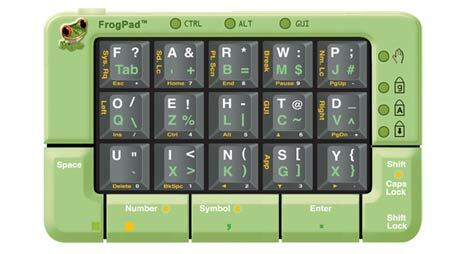 The frogpad is a tiny, tiny keyboard – or it would be more suitable to call it a keypad actually. The manufacturer say that you can get up to 40 words per minute if you practice between 6 to 10 hours with it. Any idea why they are calling it a frogpad? 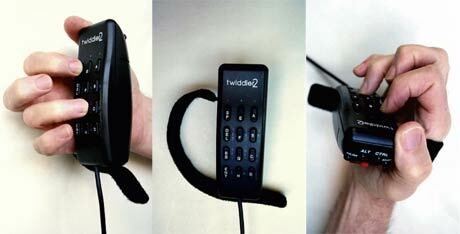 What do you say about the Twiddler 2? It looks to be quite painful to use, or what do you think? According to the testimonials at their site, it will take you ‘a weekend’ to learn typing 30 words per minute, so the frogpad wins that round. This one could be a leftover from Area 51, or a prop from the set of any science fiction movie. Wonder how it works? Here’s what the manufacturer say: “The orbiTouch creates a keystroke when you slide the two domes into one of their eight respective positions. You type the different characters by sliding the domes to create letters and numbers. The orbiTouch also has an integrated mouse, so moving the domes gives you full mouse and keyboard capability!” The target group for this keyboard is of course people who have limited or no motion in their fingers or hands, and that’s a very good thing – but anyway, it’s a keyless keyboard. This product is aimed for people who get pain in their hands from typing with a traditional keyboard – and that’s a good thing. It’s still looks like a very strange keyboard. Isn’t this one lovely? The keyboard is hidden inside a decorative, washable tablecloth. The electronic is woven into a fabric, which finds itself between layers of water resistant felt as sandwich material. The soft felt surface makes it a pleasure for fingers to tip – a cosy keyboard.